Santa Cruz Inner Harbor Dredging Project | Sea Engineering, Inc. 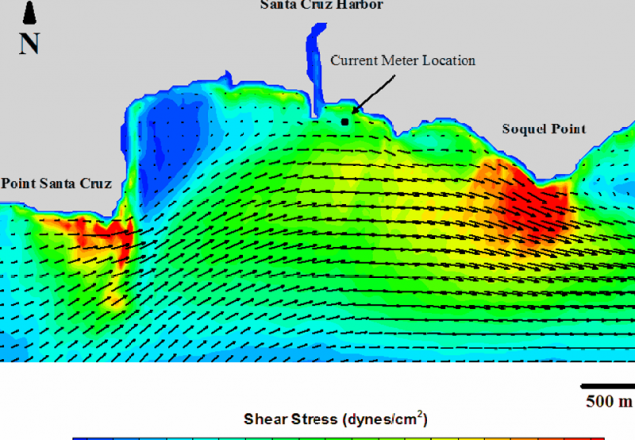 In the fall of 2005 SEI designed and conducted its inner Santa Cruz Harbor dredge monitoring program. The Santa Cruz Small Craft Harbor was permitted to dredge mixed sand (40%) and mud (60%) sediment from the upper harbor into the surf-zone at a local beach. This fine-grained dredging event challenged the Environmental Protection Agency’s (EPA) “80/20 guideline” which states that dredged (non-toxic) sediment released into the surf-zone should contain at least 80% sand. SEI’s goal was to determine if sedimentary changes occurred on the beaches and in nearshore benthic habitats of the Santa Cruz Bight during the dredging period. A variety of data were collected to monitor the experimental dredging event and natural conditions in the Santa Cruz Bight including local stream flow, wave and current data, beach and offshore sediment sampling, pre- and post-dredging multibeam surveys and benthic habitat mapping. The results show that local wave and current energy are effectively transporting not only silt and clay sediment away from the SCH, but sand-sized material as well.